Realogics Sotheby's International Realty builds upon a 267-year heritage creating the preeminent real estate brokerage in the Pacific Northwest, one client at a time. Our accomplishments will not be measured by the quantity of listings or by the number of our agents in our brokerage, rather by the quality of the properties we represent and by the results we create for our clients. Our commitment to quality can be found in the people we employ and the clients we represent. We know that specialization is the key to success and so diversity requires a collective of specialists. That’s why we’ve attracted many of the region’s top producers representing inventory from sea to sky and everything in between. We proudly represent distinctive properties of all types and price ranges within the state of Washington including the greater Seattle area, the Eastside, Bainbridge Island, Kitsap County and north to Alaska. We serve the very best in the Northwest. Our team has been recognized with more than 125 regional and national awards for sales and marketing excellence. Having affiliated with the Sotheby’s International Realty® brand, we now have access to a global marketplace, providing our agents and our clients with every possible advantage available in the industry. 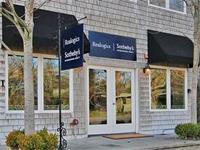 In addition to our flagship office in downtown Seattle, we opened in February 2011, the Bainbridge Island Branch Office of Realogics Sotheby’s International Realty. The Brand has brought enhanced global awareness and sales including ranking Bainbridge Island the “Top Island Enclave in the US for 2011” as reported by CNBC.com. Besides being newly established and boutique in scale, Realogics Sotheby’s International Realty was listed as the 11th largest realty in the region by sales volume according the Puget Sound Business Journal Book of Lists for 2011.